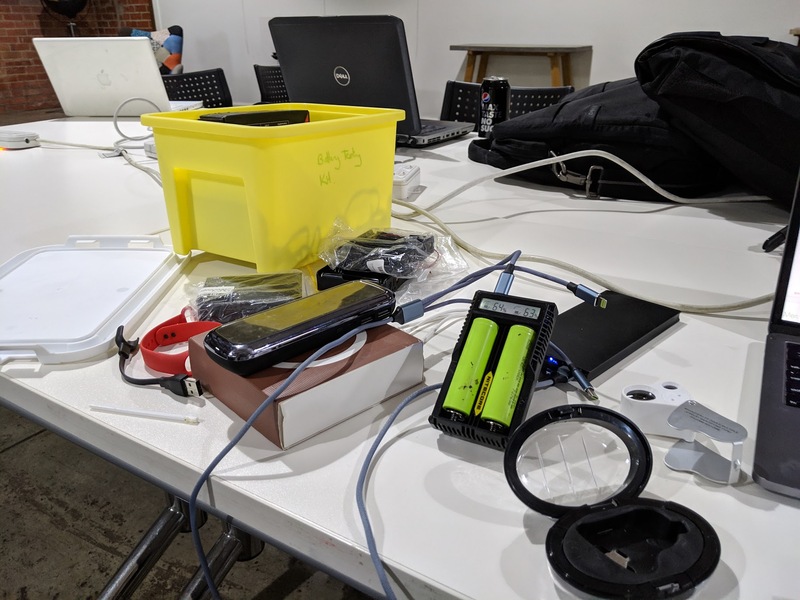 So .. here’s a guide to simply testing the rated mAhs (capacity of a single cell LiPo battery) to ensure that when a powerbank is advertised at “10,000 mAhs” that it translates to a relatively real number. 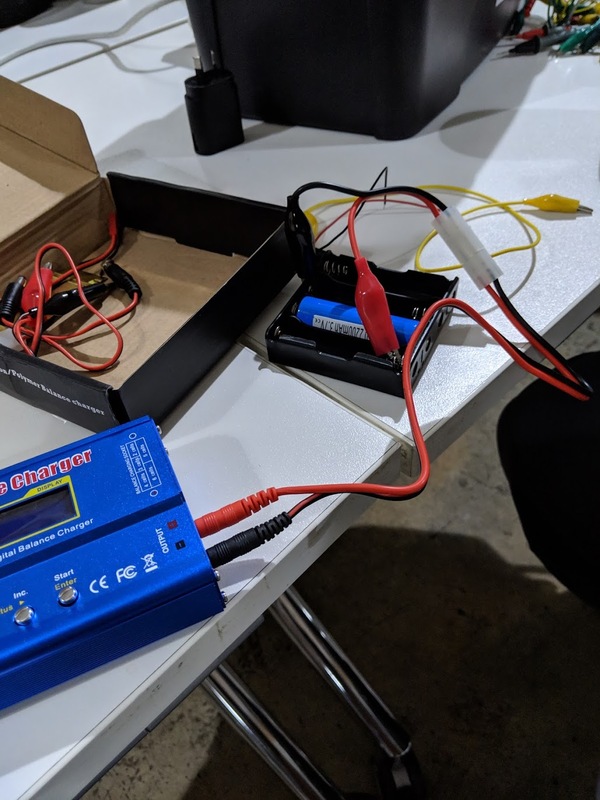 Before we start , it’s good to mention that battery testing for LiPo is not an exact science and depends on the age and quality of the battery itself. Grab the battery you wish to test and find a holder for it/ them. Like this! 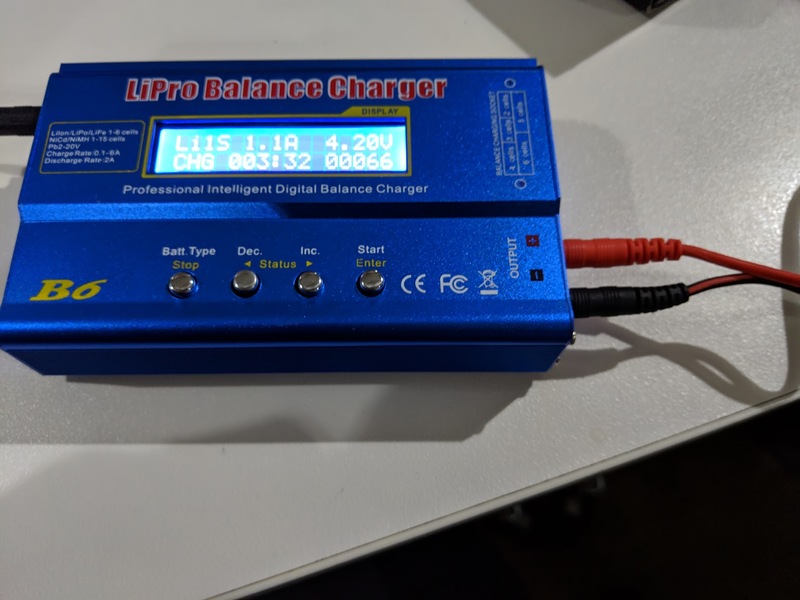 Plus the B6 into power and scroll to the LiPo charge menu. Generally the Battery you pull out of the powerbank you have will have some ratings on it. You can see here that the battery I’m testing is rated at 3.7 Volts and 2.2 Amps so I’ve selected those options. Plug the positive crocodile clip into the positive connection on the battery holder and the negative clip into the negative side. Plug the crocodile clips that connect to the output jacks in and click the start button. You will see the battery charging and in the bottom right location – now it’s a waiting game. Keep a regular eye on the battery checking for howe warm the battery is getting. There is a temperature sensor on the B6 that will let you know if things get too hot but always a good idea to keep a manual check. Also keep watch on seeing those numbers tick up! Safety Tip: In the name of preventing potentially burning batteries on fire in your work area (in my case my kitchen!) I do recommend placing your battery and battery holder into an electro magnetic bag.